Hungarian oil and gas group Mol is to raise the wholesale list price of 95-octane gasoline by HUF 5 per litre, while it is to lower the price of diesel by HUF 2 per litre each on Wednesday. 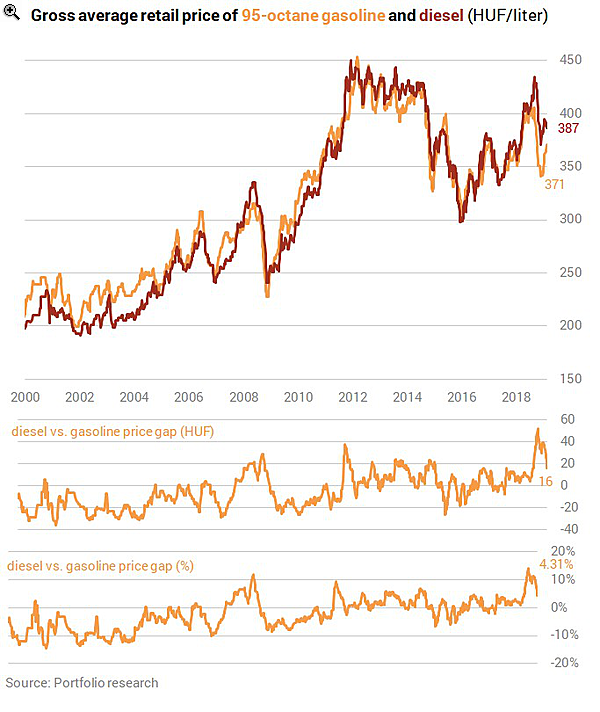 The average price of gasoline will be HUF 371 per litre and the average price of diesel is to be down at HUF 387 per litre. On 15 March Mol raised the price of petrol by HUF 2 to HUF 366 per litre, and it cut the price of diesel by HUF 3 to HUF 389 last Wednesday.